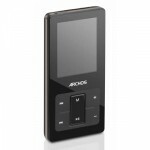 The new Archos 2 MP3 players fail to impress: But MicroSD cards supported! Everyone in the office knows I’m a big fan of Archos products. 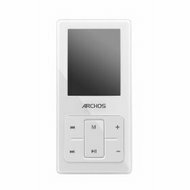 I ooh over their latest touchscreen PMPs and desperately covet their latest Android tablet, but the images of their new MP3 players leave me feeling cold and empty. They’ve kept the players simple, modelled on the 105, and have kept the look of the device very square- square keys, shape and screen. It’s not ugly by any means, but as we’re spoilt by the beauty of the Archos 5, we’re bound to be picky. The Archos 2 comes in either black or white, and features a 1.8 inch screen with a battery life of 12 hours for music and 4 hours for video.They’ve somehow bundled in a dictaphone into this 9mm thick device and I like the fact that you can use MicroSD cards in conjunction with its 8GB capacity,which is a nice bonus. So how does this player feature against the likes of Apple and Creative? Style wise it’s fairly basic but the price is attractive, as is the storage capacity combined with MicroSD compatibility. Next gen iPhone to come with a 3.2 megapixel camera?